Of course, the gestation period for this trip has been years. What was conceived as only an idea, matured into a dream, from which a plan was developed. 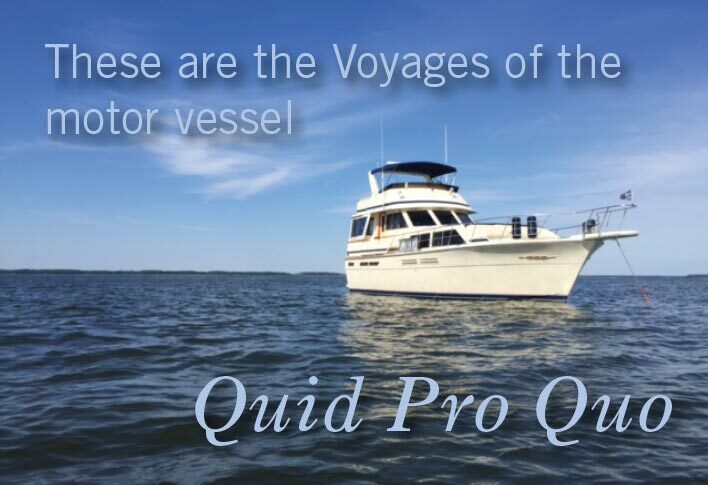 There are two hurdles to many planning a trip like this, buying a boat and finding the time. What kept nagging me was that I had the boat, but could not find the time. Casual planning began with upgrades to the boat and its systems over the past three years (see “Preparation”). However, taking care of Dad was a priority for Kitty/Paul, Pat/Jim and I. With Dad’s passing on July 24, 2016, planning became more earnest, and a target date of July 1 was set to remedy my time problem, and to begin the trip on or before that date. The most unbelievable part of this venture is that Cherie is not doing it with me. She has put up with the expense and time I have spent on the boat over the years, and when the time comes to use it like it was meant to be used, she is not able. Even though not able to make the trip, she insisted I and the crew go. Quite remarkable! I am deeply moved by her willingness to let me pursue this passion and bucket list item. With love, thank you. So here we go, an attempt at the Great Loop, with prayer that the boat and the skipper can make it, and the crew does not mutiny. For our first meal aboard, even though we had not left the marina, Kitty made one of our family’s favorite summer time meals; potatoes, string beans and cucumber salad dressing. The new stove worked great, and having two great cooks along for the cruise was looking good. The crew responsibilities were falling in place. Down with the “Quid Pro Quo” burgee, and up with the new AGLCA burgee. The “Crew” refused to let the boat leave the dock until their inflatable life jackets were armed and ready to use. It did not matter that the engines were running. Pat has taken the wheel; Jim is OK with that? Arriving at Chesapeake City. Marvin said you gotta go, but the water is skinny. John said you can sneak in there (as if stealth would make the water deeper). The dockmaster said, “Most of our boaters don’t mind coming in on high tide, leaving on high tide, and touching bottom in between.” So we went. A well deserved dinner at the end of Day 1. Kitty & Paul, Pat & Jim, with Frank, decided to go on a boat ride. They left on June 21, 2017.